Michelot JL, Salen P., Simon L., Loiseau J. 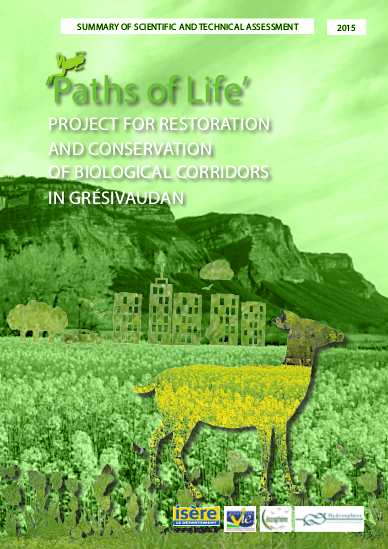 The Paths of Life project, sponsored by the Isère département, was completed between 2009 and 2015 for the purpose of restoring ecological corridors in the Grésivaudan. This report is a summary of the scientific and technical assessment of this project. This work is also the subject of a complete report which presents the methodologies used in greater detail.